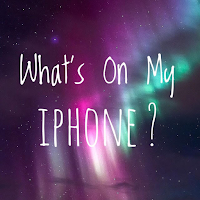 Love Courtney x: What's On My IPhone ? I have a rose gold Iphone 6S and I love it. 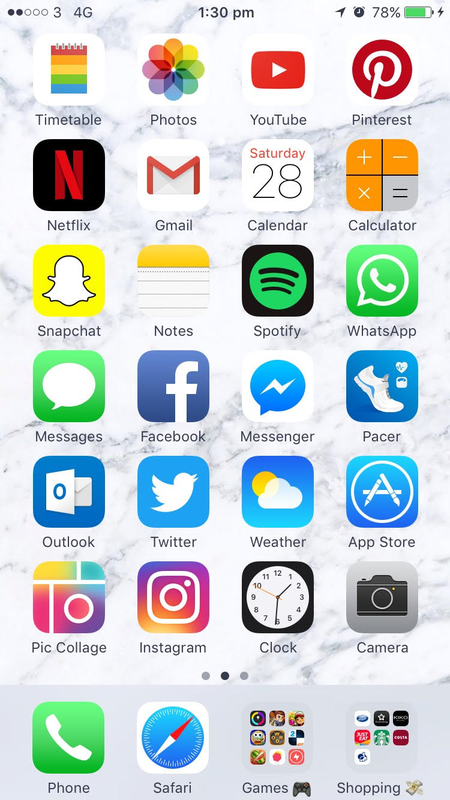 I have so many apps for so many different things so I wanted to show you and tell you some of my favourites. This is the home screen of my phone. 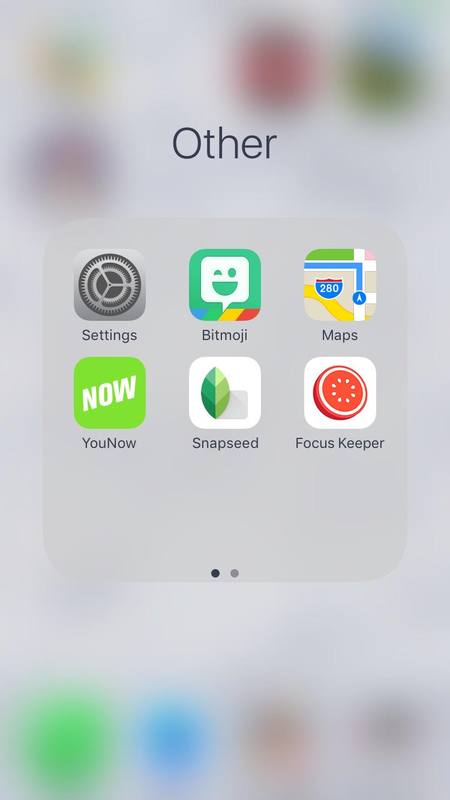 I'm not going to go through every app here as it would take forever. But my favourites are Twitter, Youtube and Snapchat. I'm also trying to get into Instagram and Pinterest as well. And yes there is a slight rainbow colour scheme in the organisation of this page. These are my games. I have quite a few because I download them, play them a few times and then get bored of them but never bother deleting them. However, I was recently obsessed with Six (second column, bottom row) and I ended up completing it. 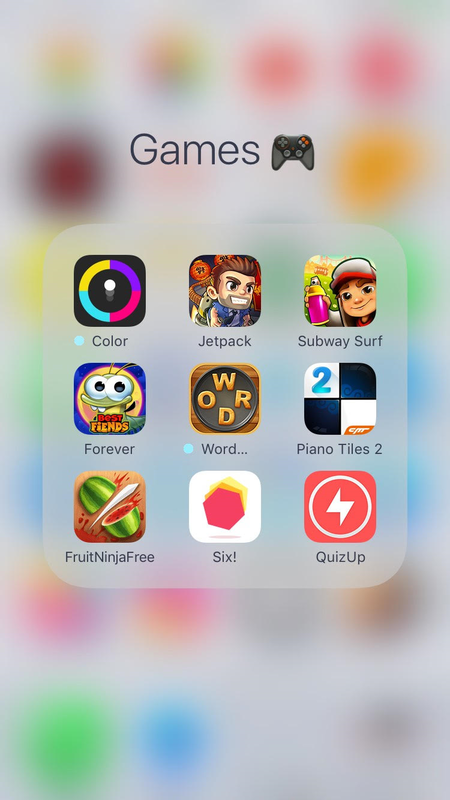 What's your favourite game on your phone ? Next to the 'Games' folder at the bottom of my home page I have a 'Shopping' folder. 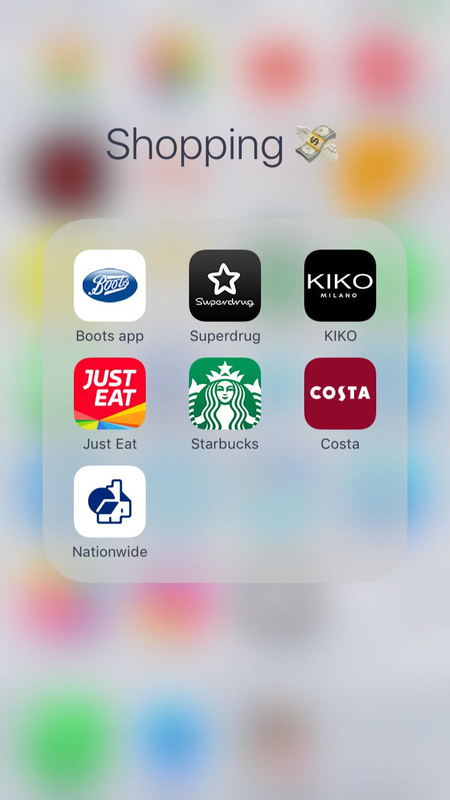 I mainly use most of these apps to keep track of loyalty card points, although, the Just Eat app is a personal favourite because I love food. Then I have the Nationwide app to tell me how little money I have. So that is my Iphone and some of my favourite apps. I might do a post soon about my phonecase collection because I have quite the collection. Let me know what your favourite apps are and don't forget to follow me on Twitter, Instagram and Pinterest. (all @love_courtney_x ) If you have any of those social medias comment your username in the comments and I'll check out your profile.